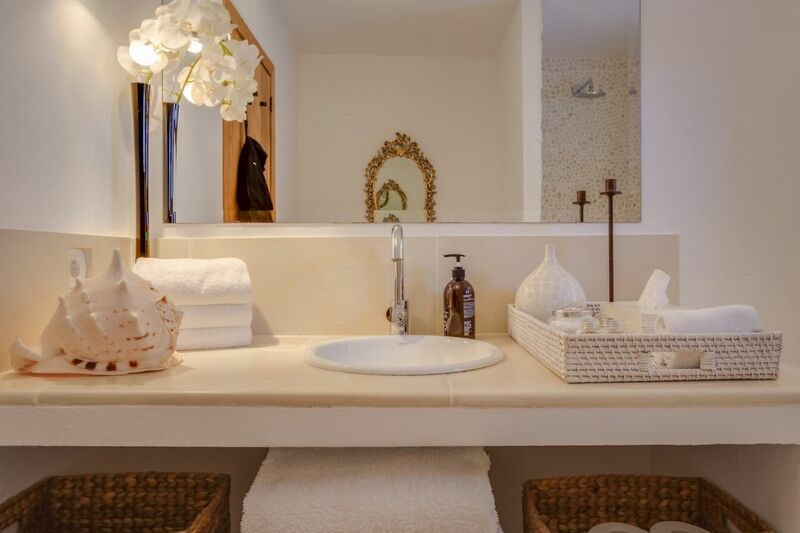 Wednesday and Saturday 7 to 8 hours with linen and towel change. 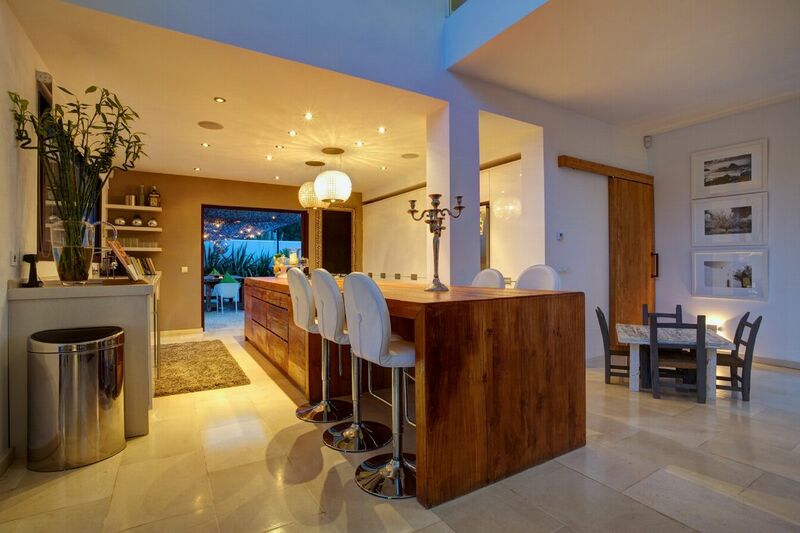 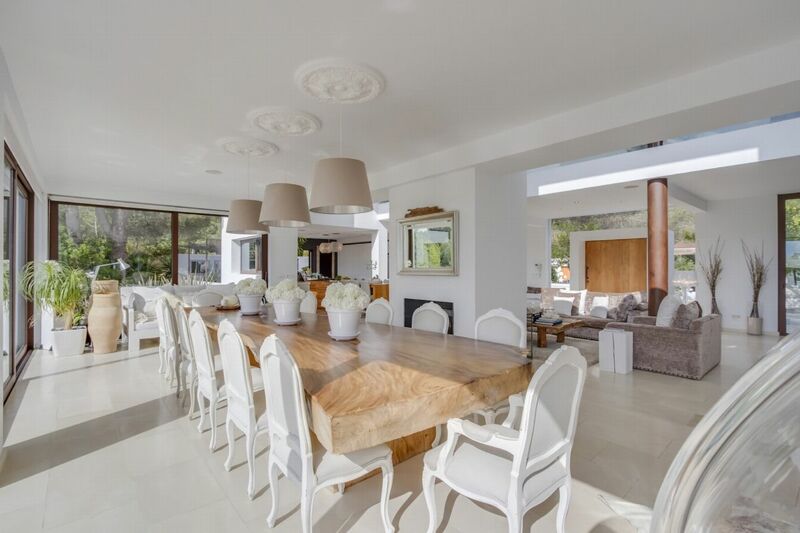 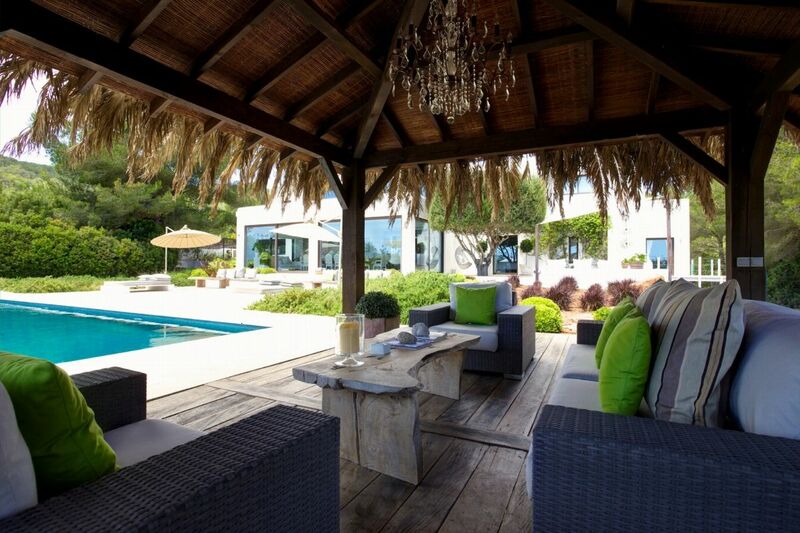 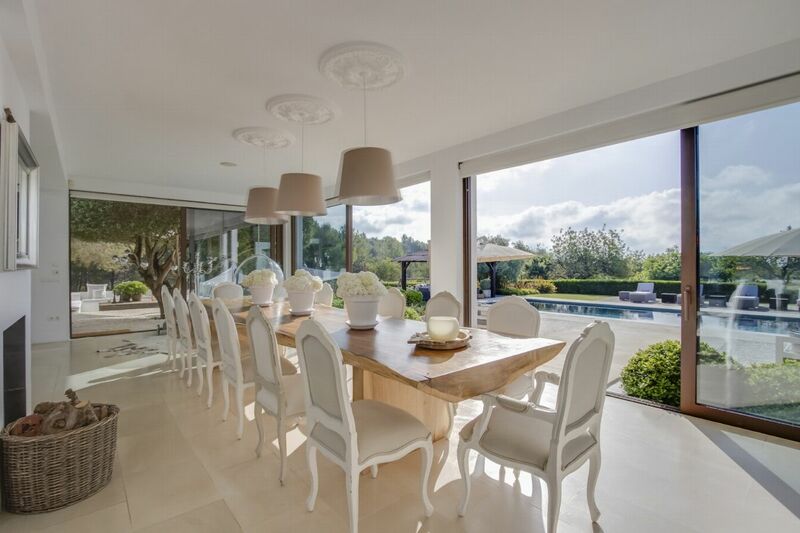 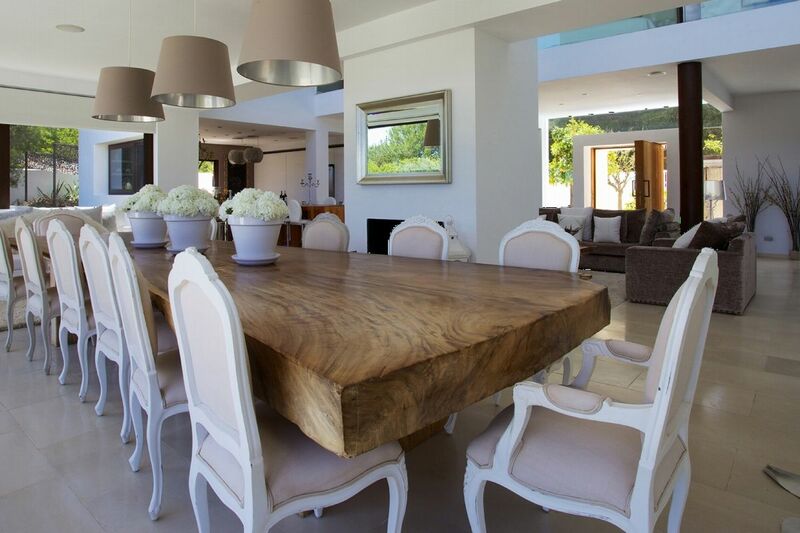 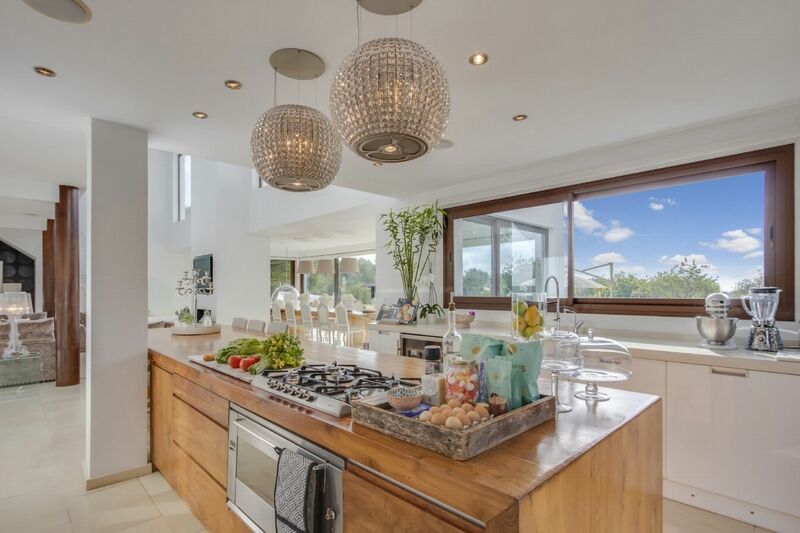 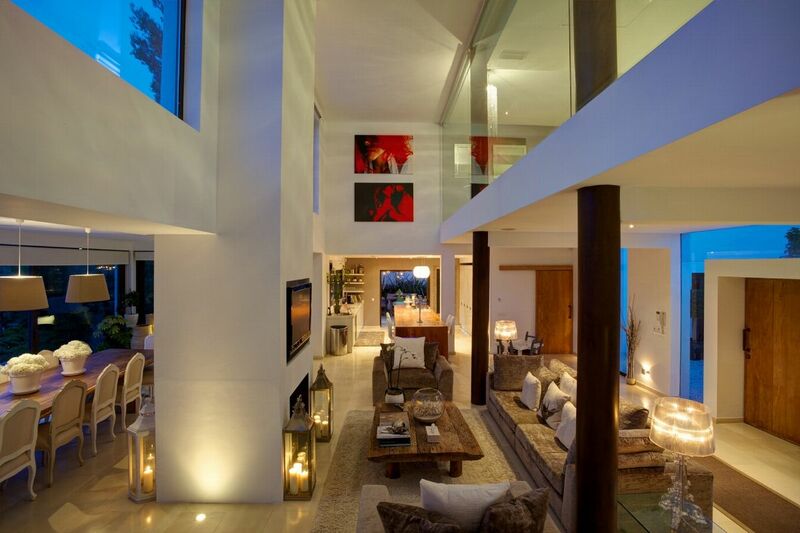 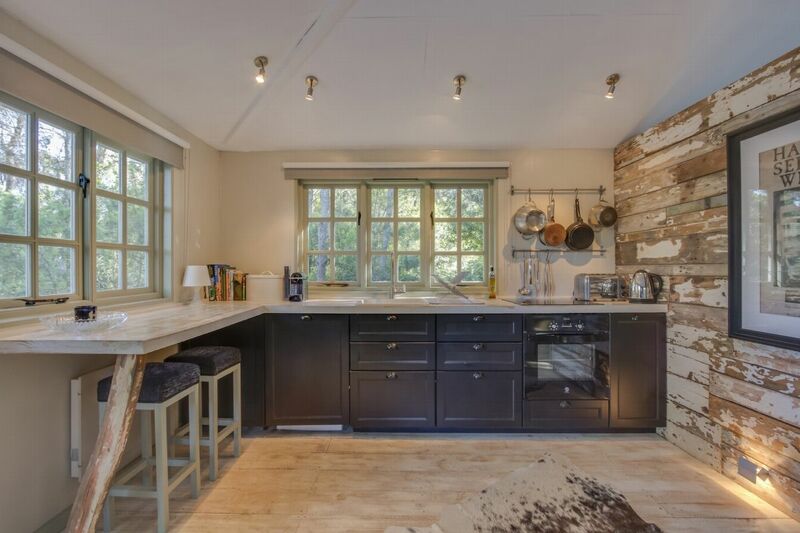 Stunning country-style villa with modern finishing of the highest quality. 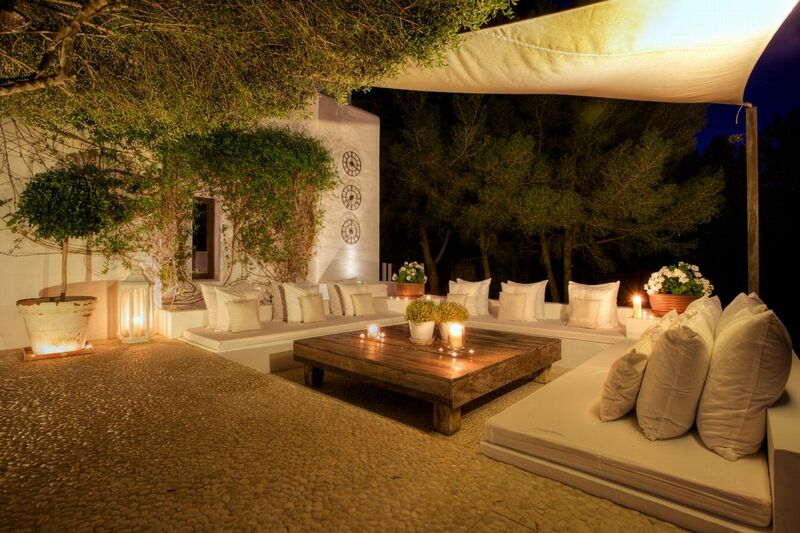 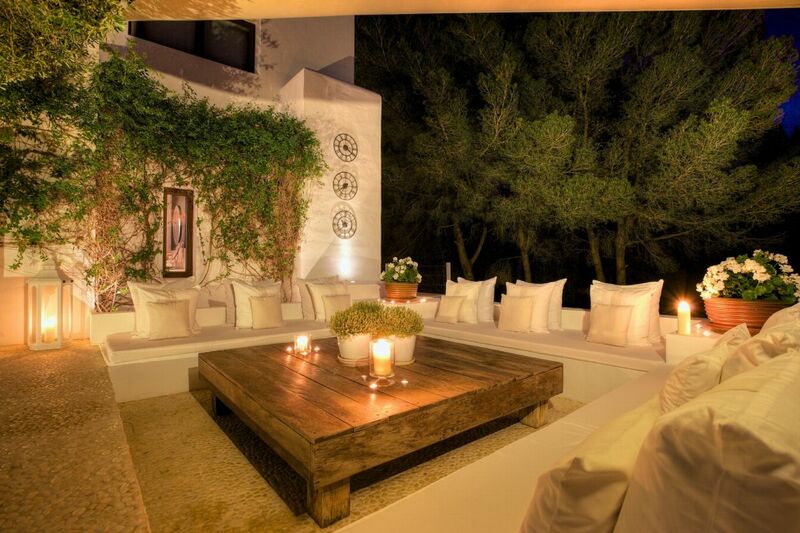 Classic Ibiza chic in this oh-so-private escape. 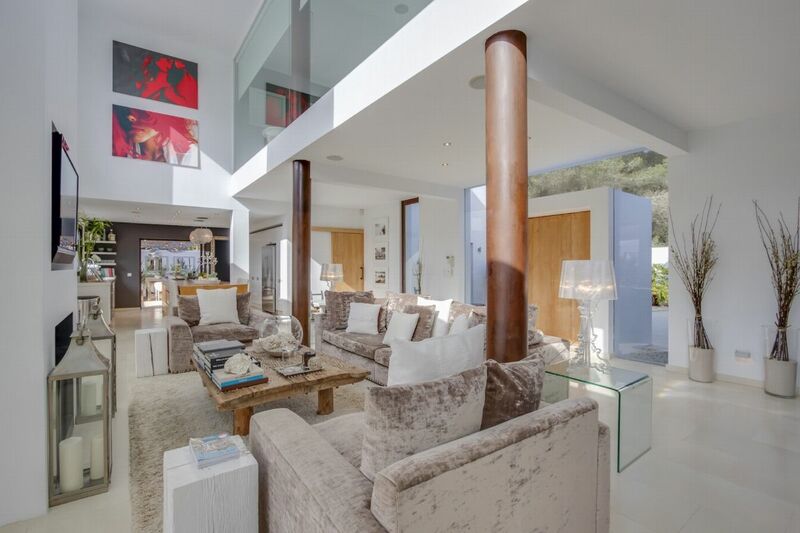 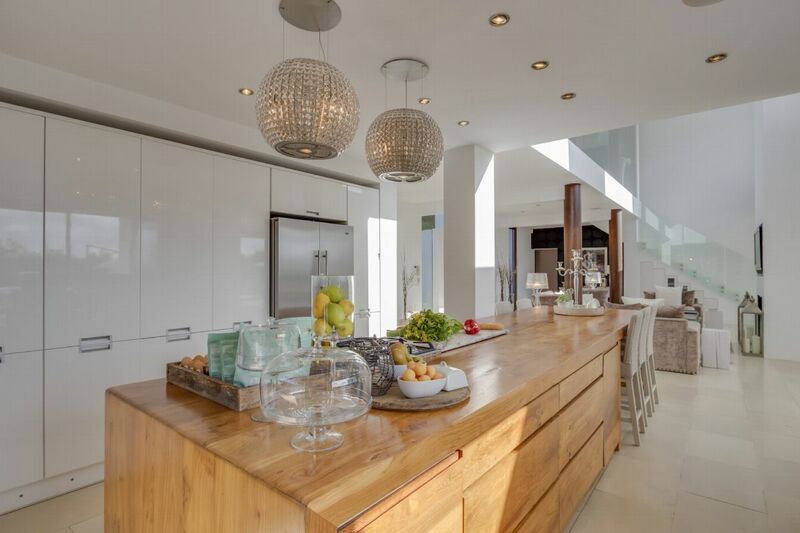 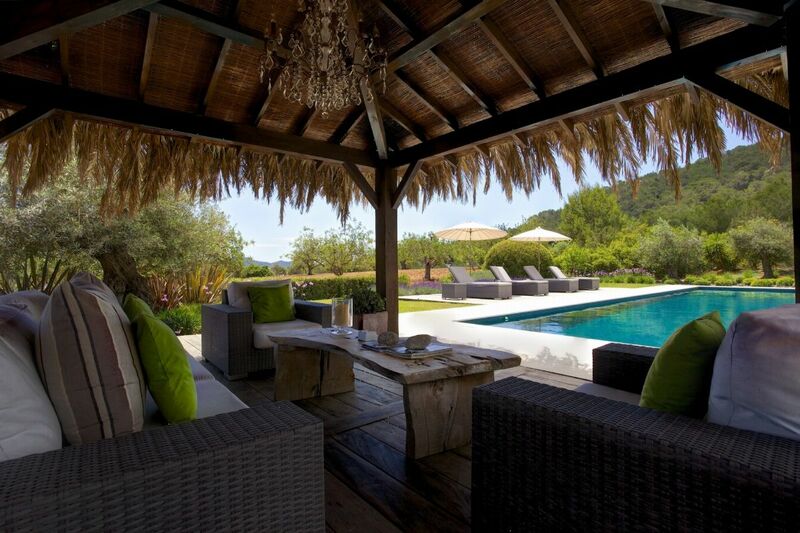 In Ibizaâ€™s green heart, this stunning villa marries sleek contemporary design and natural materials to create an opulent hideaway. 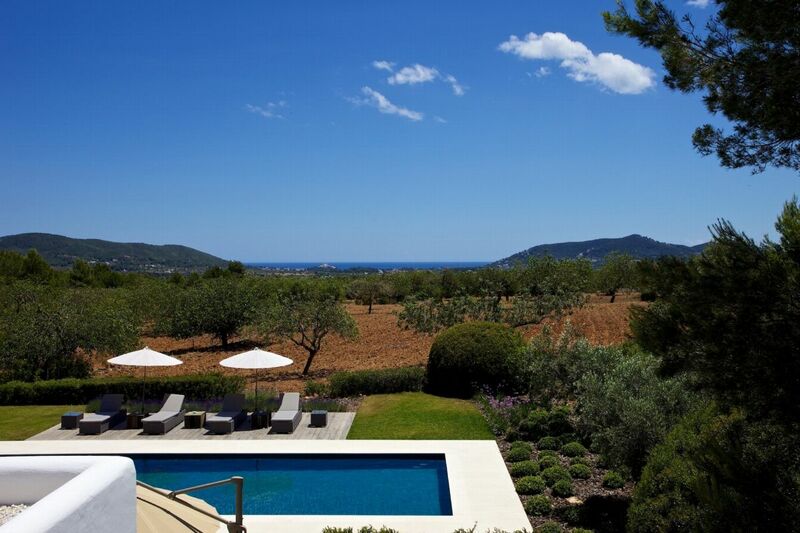 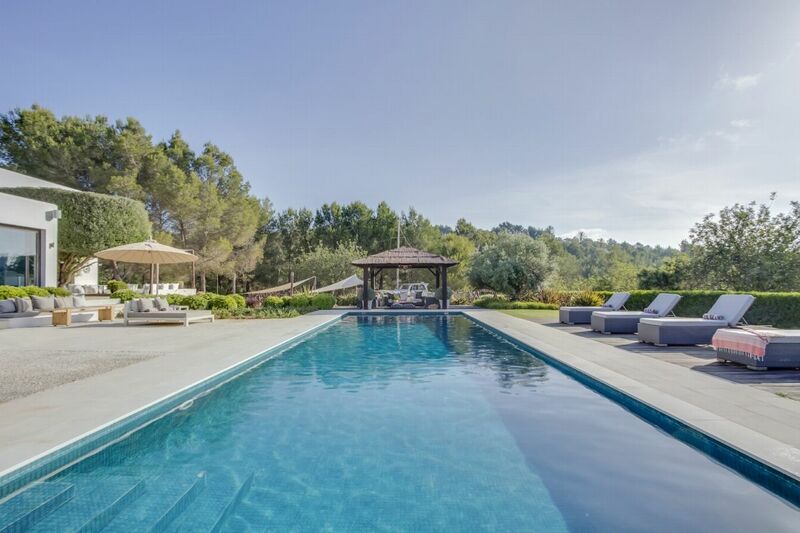 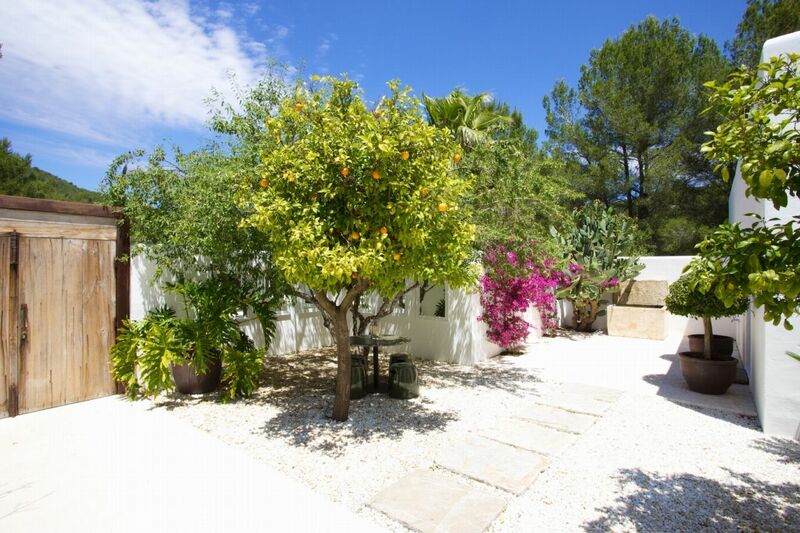 Nestling in the Ibiza countryside between Santa Gertrudis and San Lorenzo, surrounded by sweeping countryside views, it occupies the perfect spot from which to explore this beautiful island â€“ if you can tear yourself away from the stunning 16m x 5m pool and two acres of private gardens. 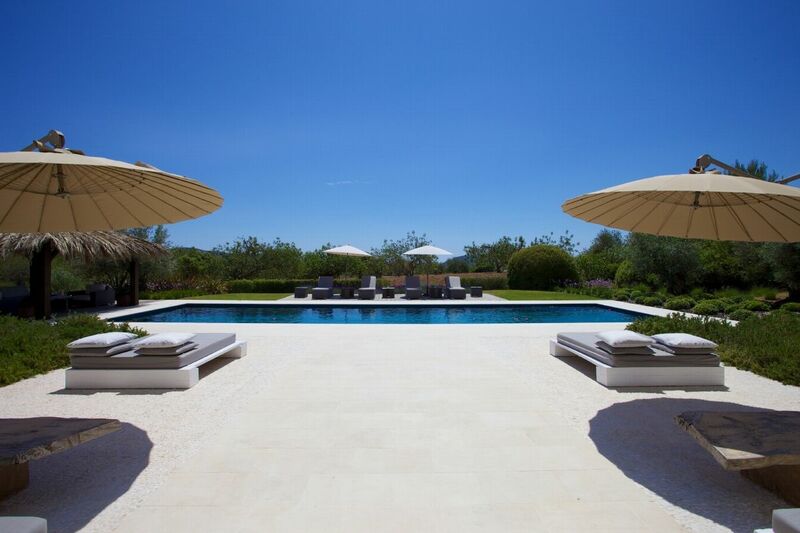 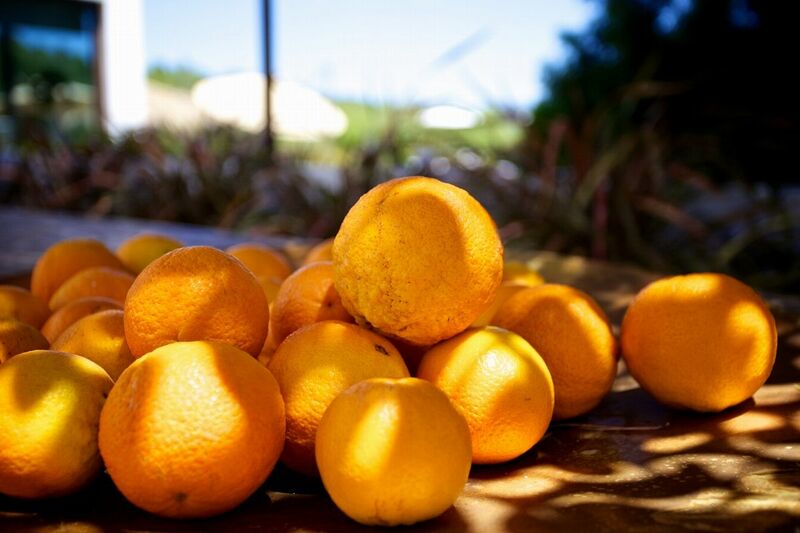 Spend lazy days by the sparkling pool; chill poolside in sleek loungers or under the rustic poolside cabana. 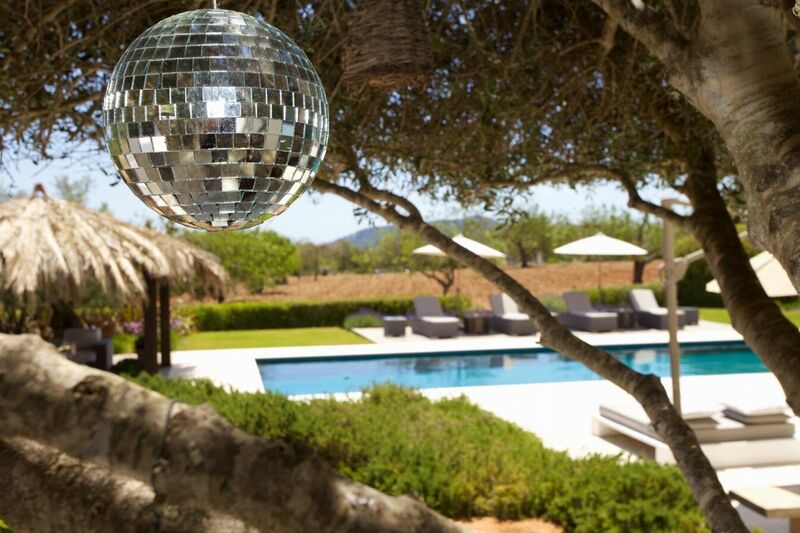 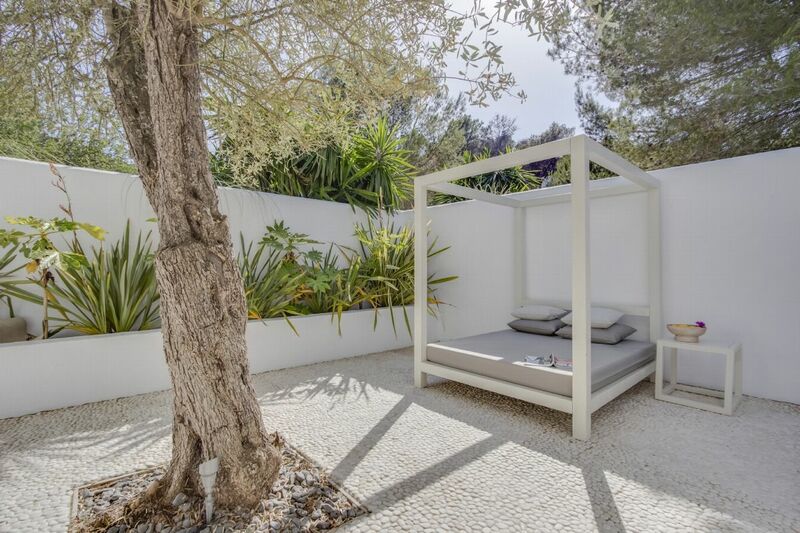 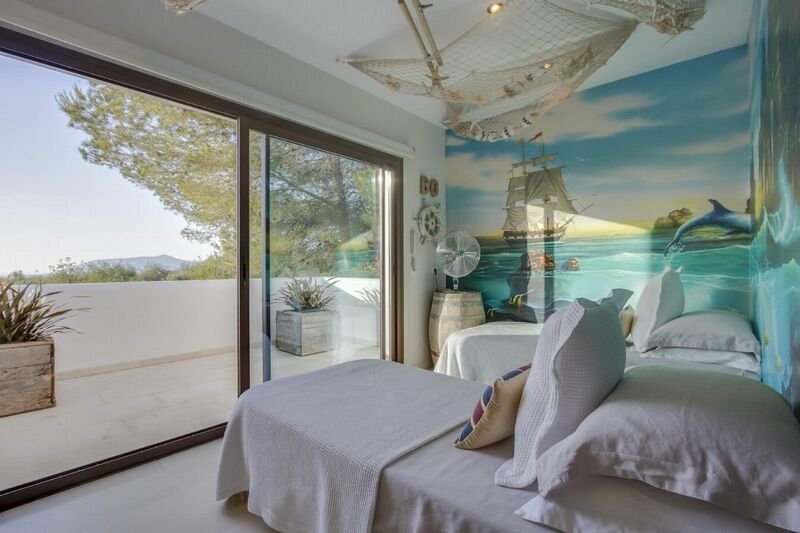 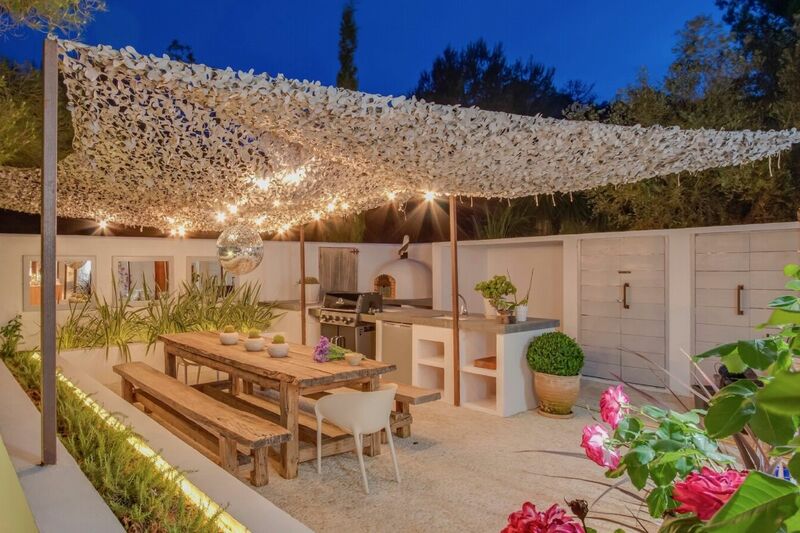 By night, gather in the soft sofas of the sunken chill-out space or at the vast reclaimed wood table of al fresco kitchen, complete with pizza oven, to relax or party under Ibizaâ€™s starry night sky. 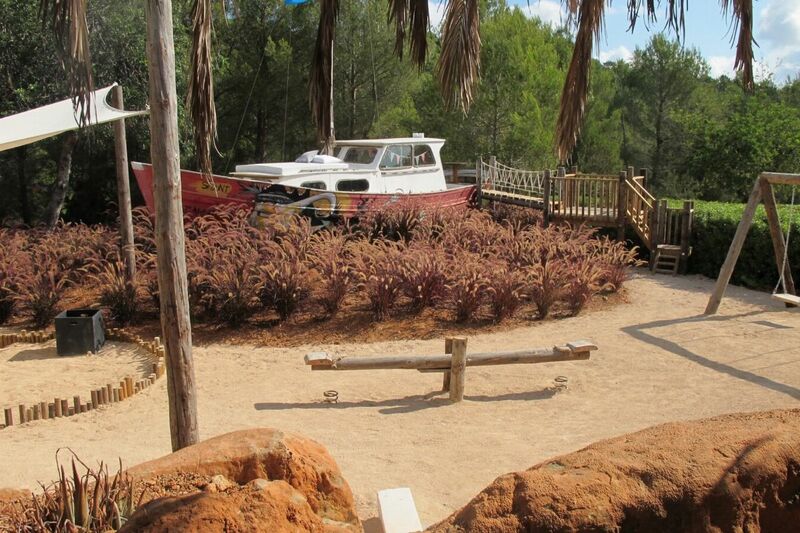 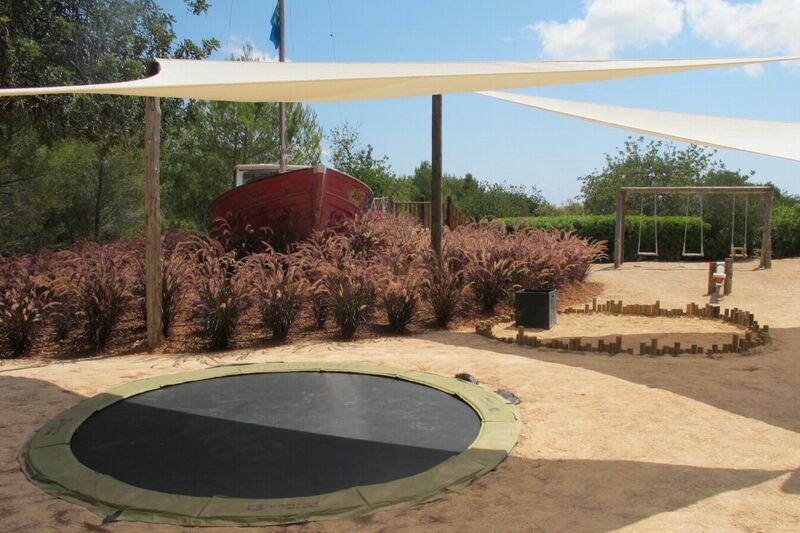 Your children will love the play area, with sunken trampoline, swings, see-saw and wooden fishing-boat play house. 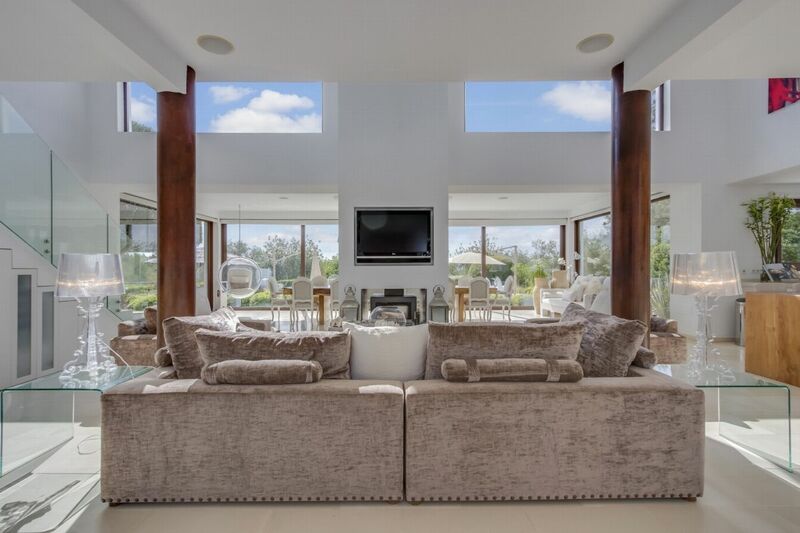 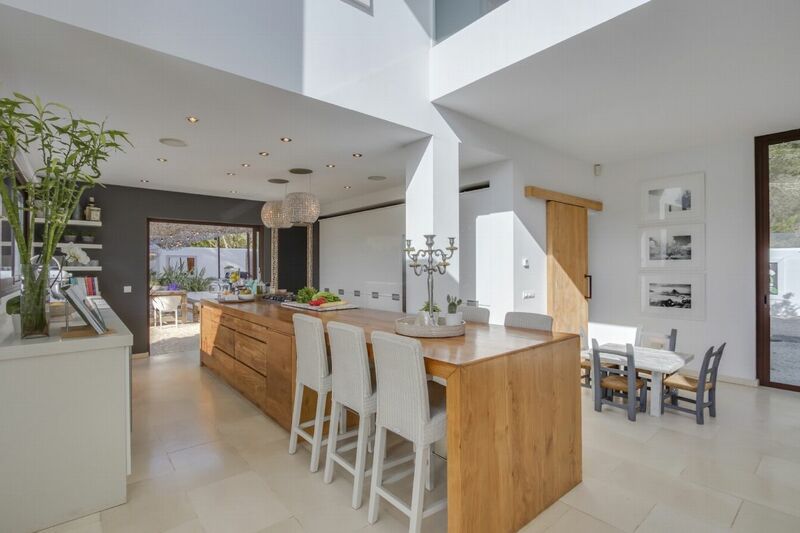 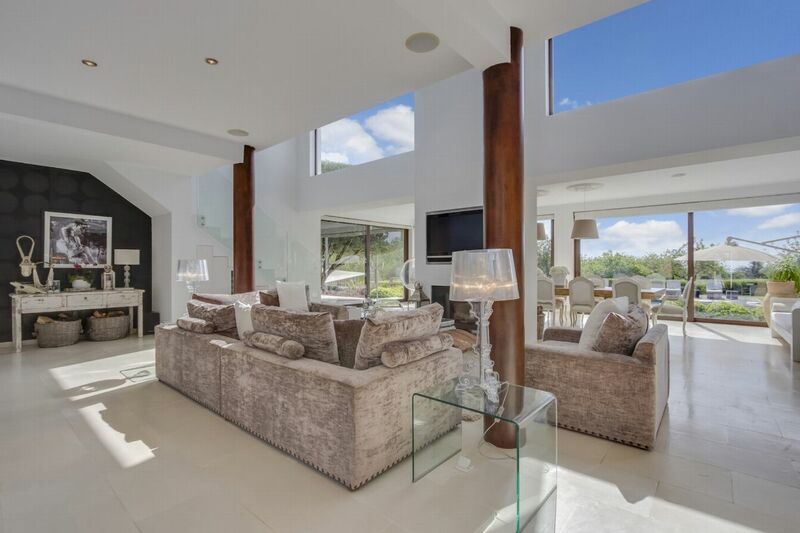 Natural light floods the spacious open-plan interiors where plush soft furnishings and high ceilings create versatile living areas with beautiful views over the pool and beyond, across green farmland wrapping around the house in all directions, to the Mediterranean twinkling on an azure horizon. 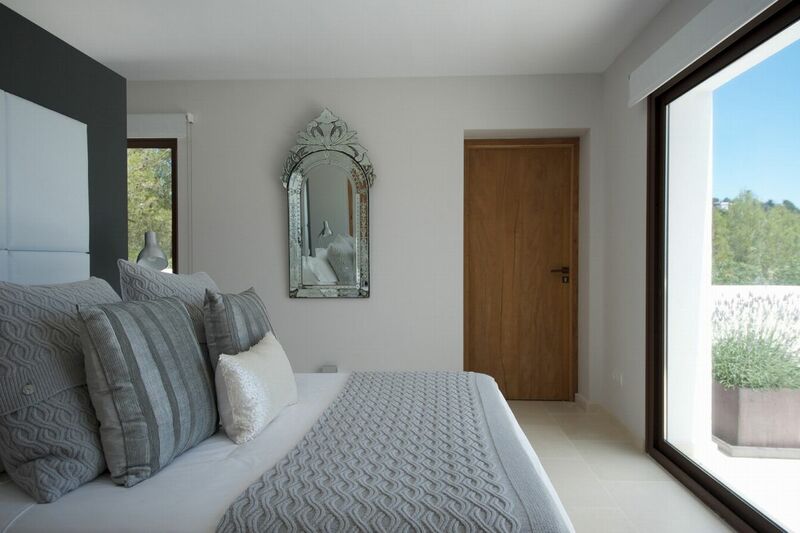 In the main house, six pristine bedrooms offer luxurious accommodation for up to twelve people; each featuring a private terrace and an en-suite that blends sleek contemporary fittings with luxurious natural materials. 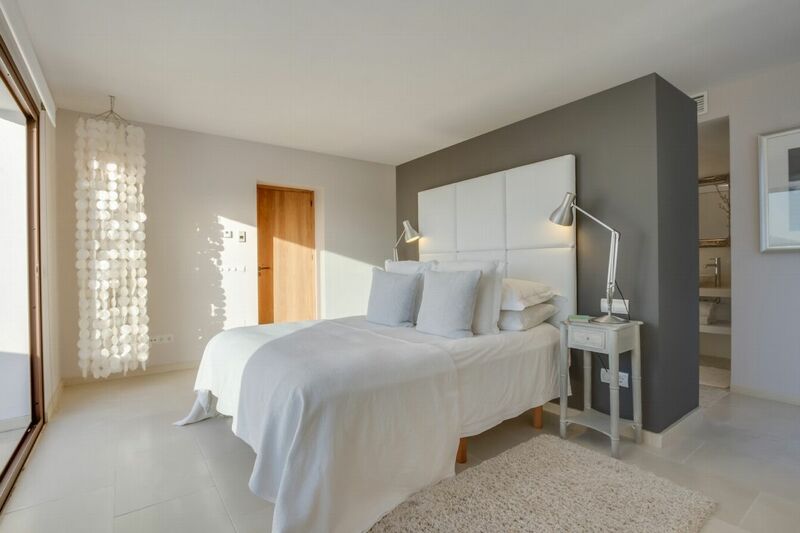 A further double bedroom is found in the casita which nestles in the grounds and boasts its own kitchen and shower room, perfect for staff. 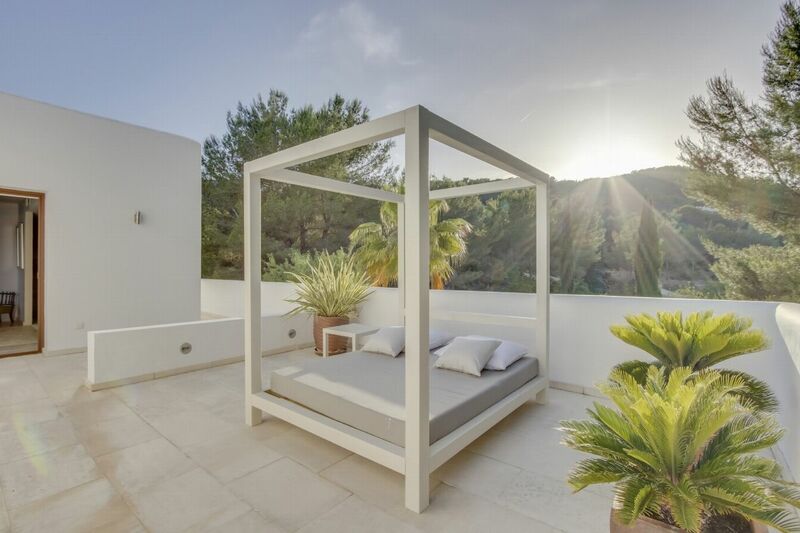 Delightful touches, such as the first-floor day bed on the master balcony and the full-house and poolside Sonos sound system, deliver every luxury. 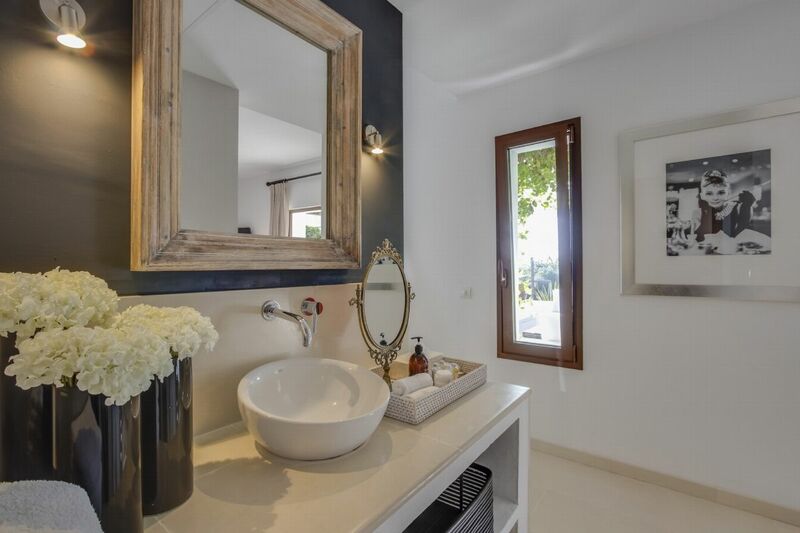 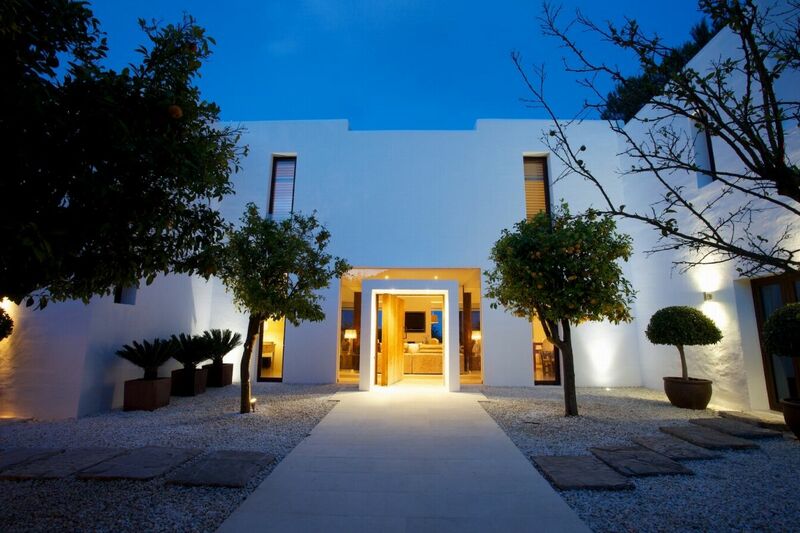 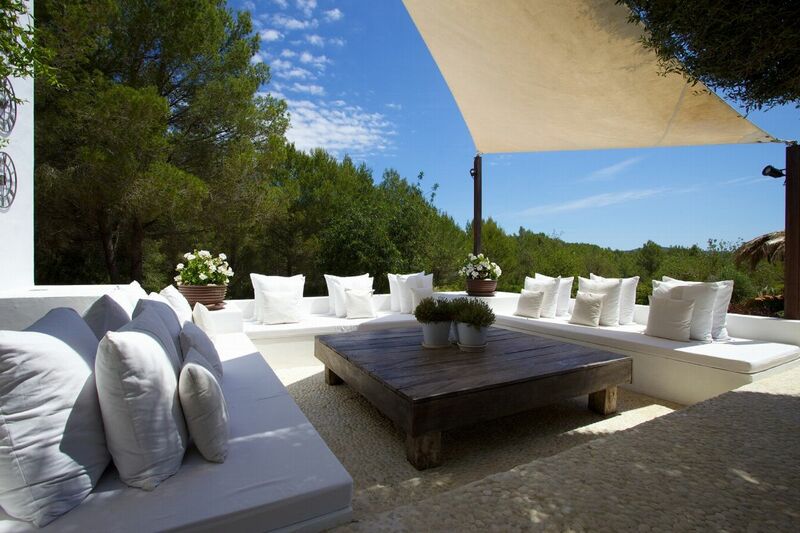 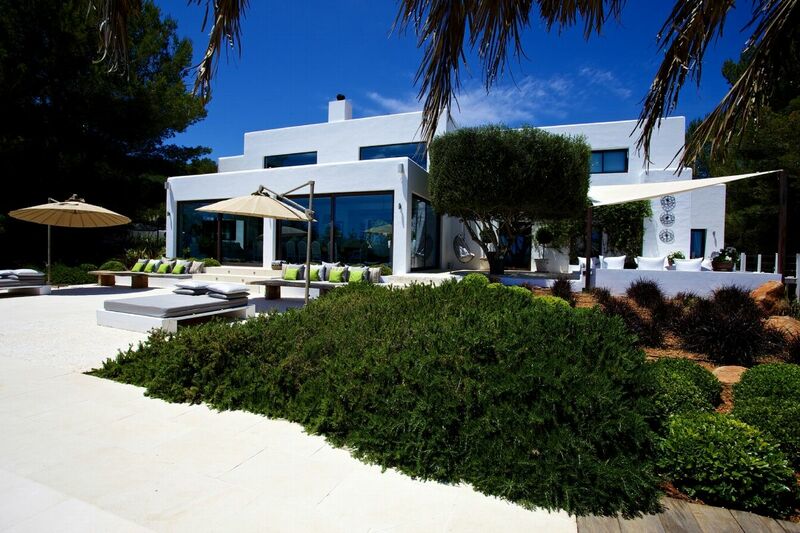 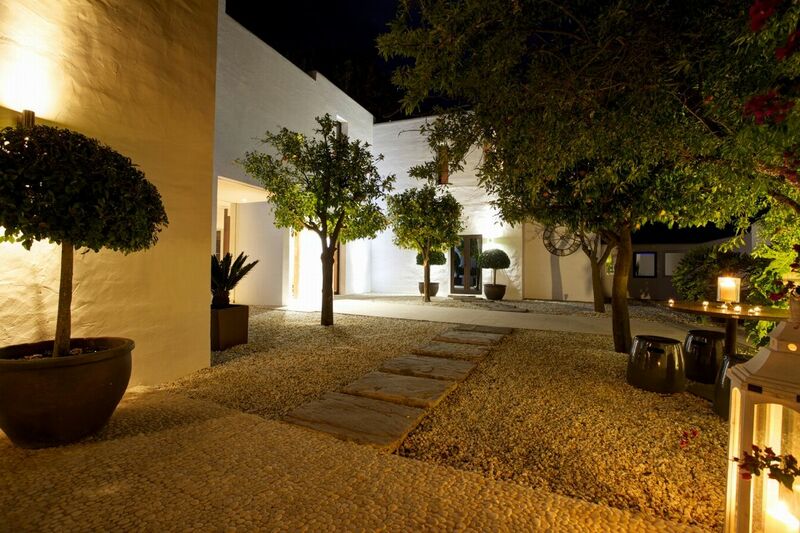 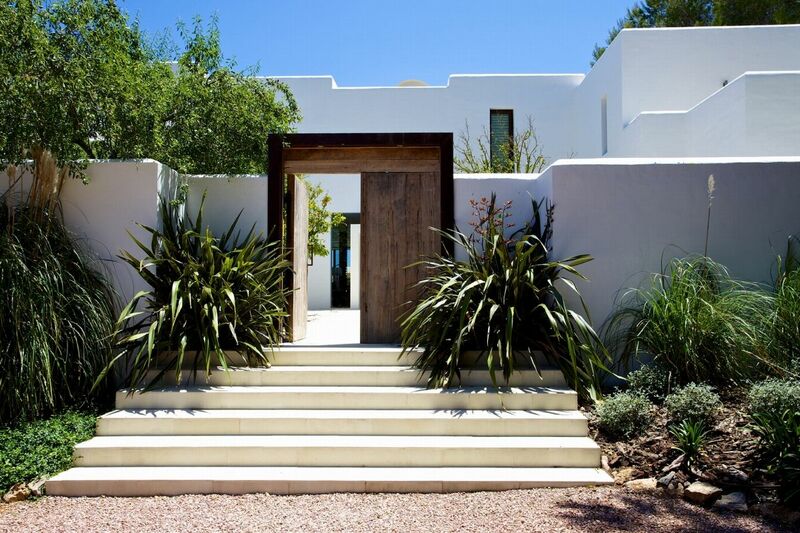 A contemporary Ibiza country escape where privacy is the watchword. 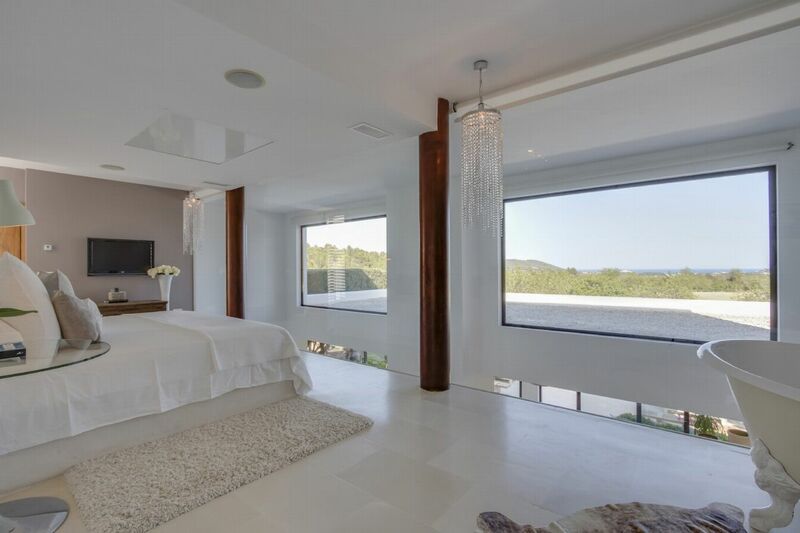 The Master Suite includes a king size bed, a 32"plasma TV, Sky TV, a DVD player and a built in surround sound music system. 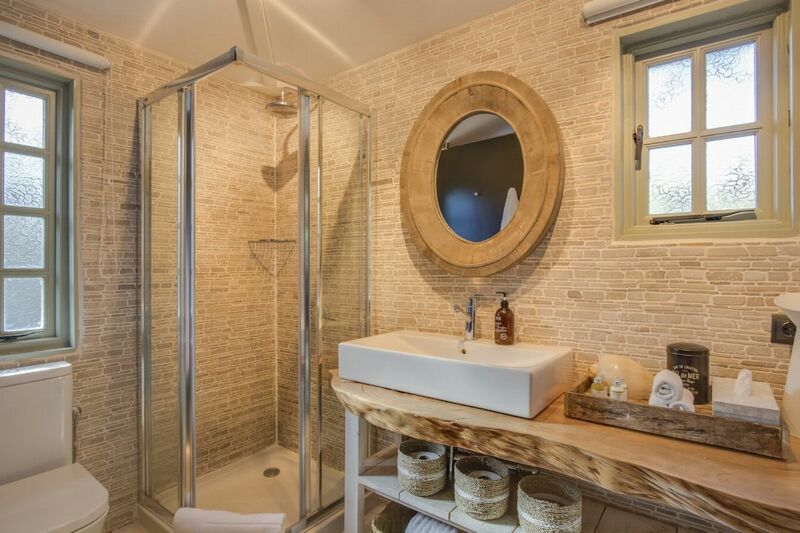 The free standing cast iron bath is also a fantastic feature of this room. 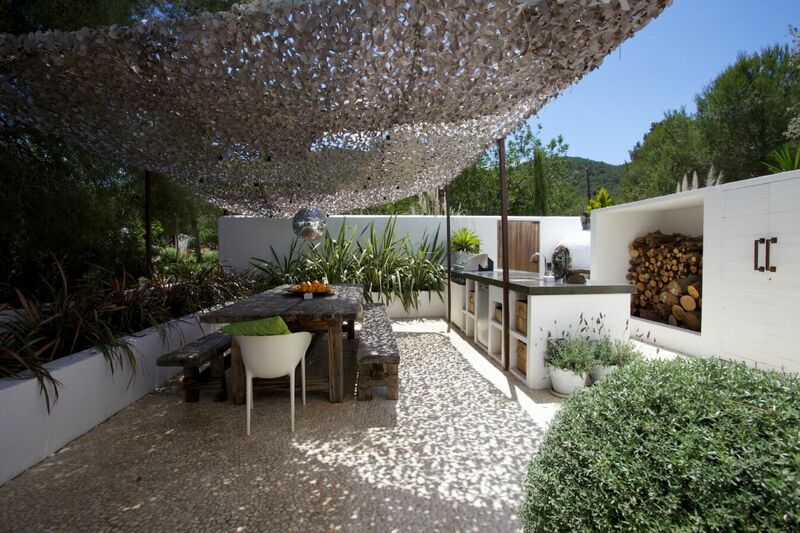 There is also access to a private terrace with countryside views. 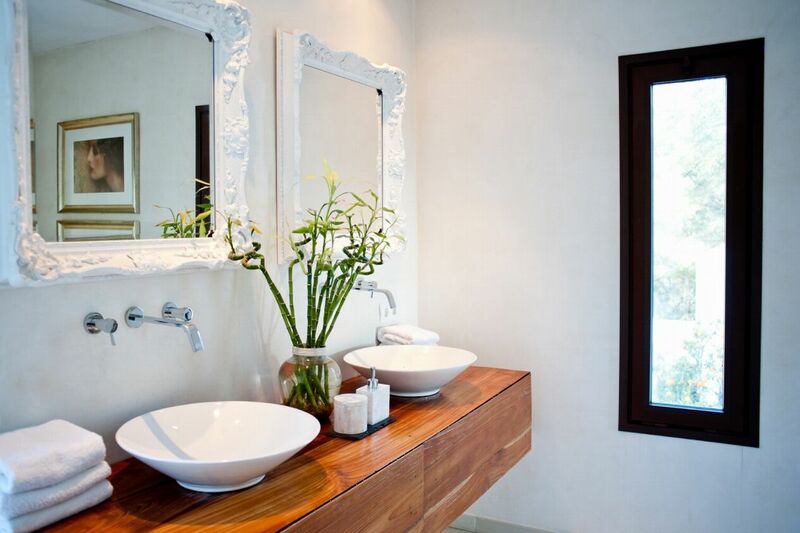 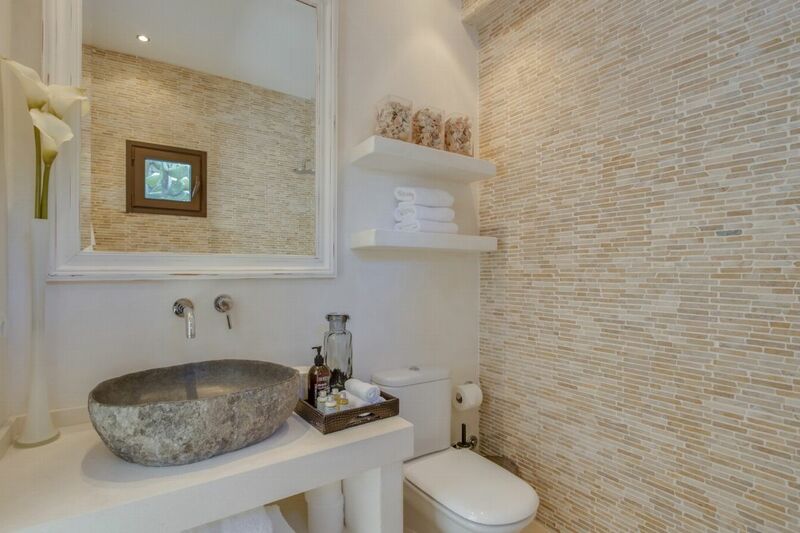 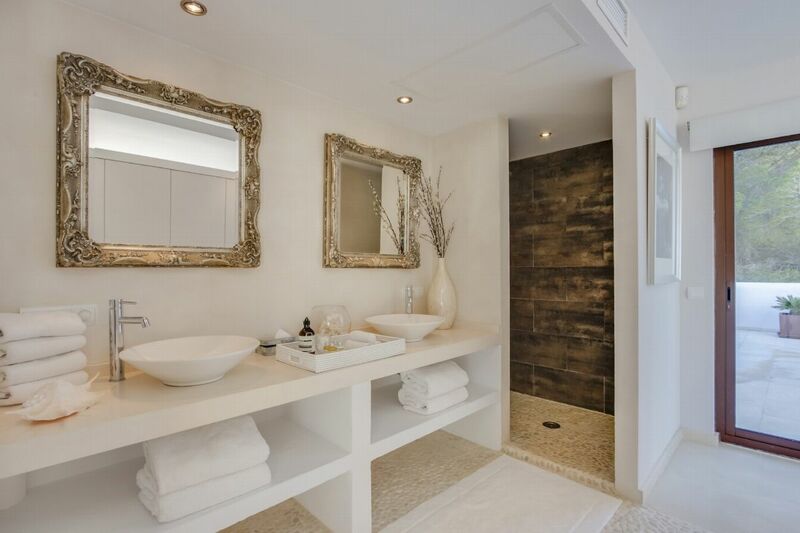 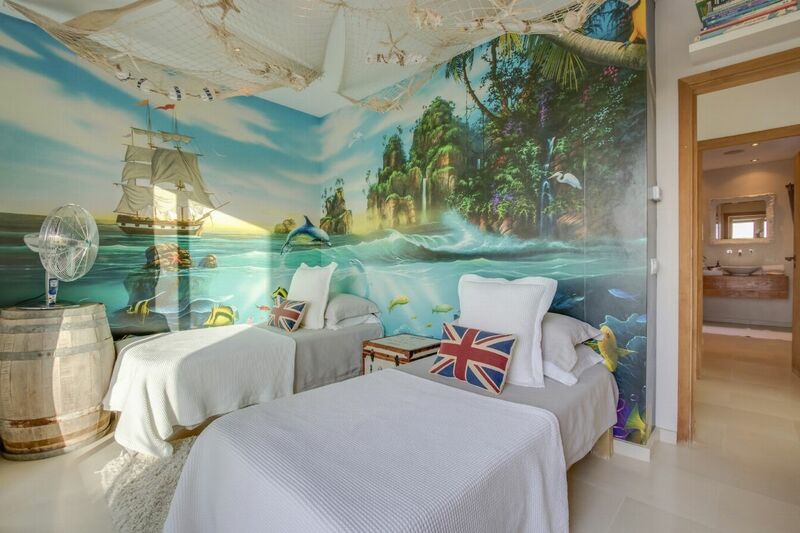 In addition to this, the en-suite bathroom includes double washbasins and a spacious walk in Philippe Starck shower. 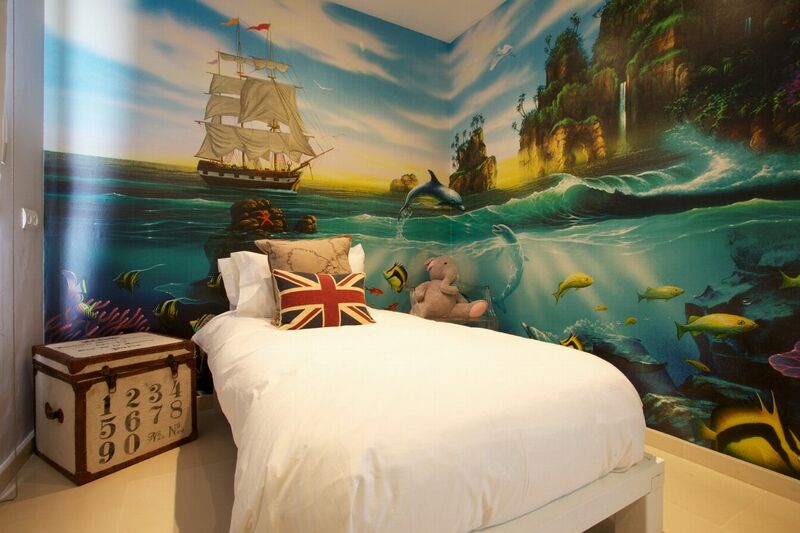 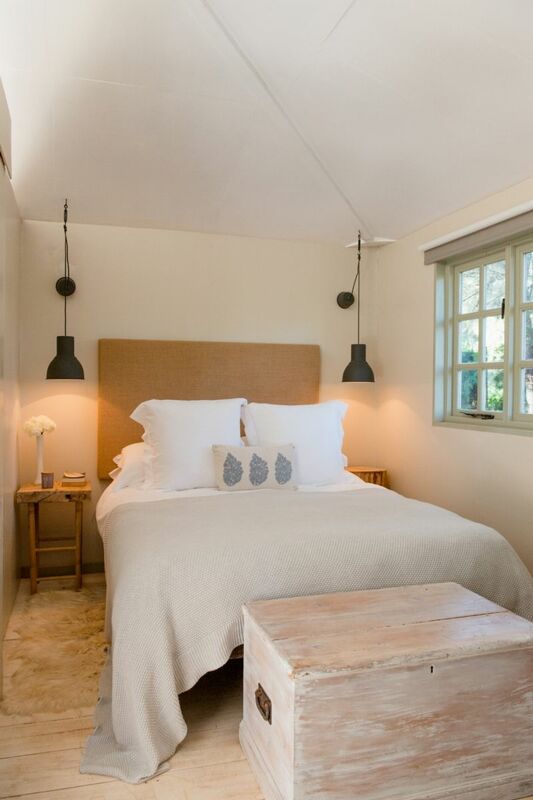 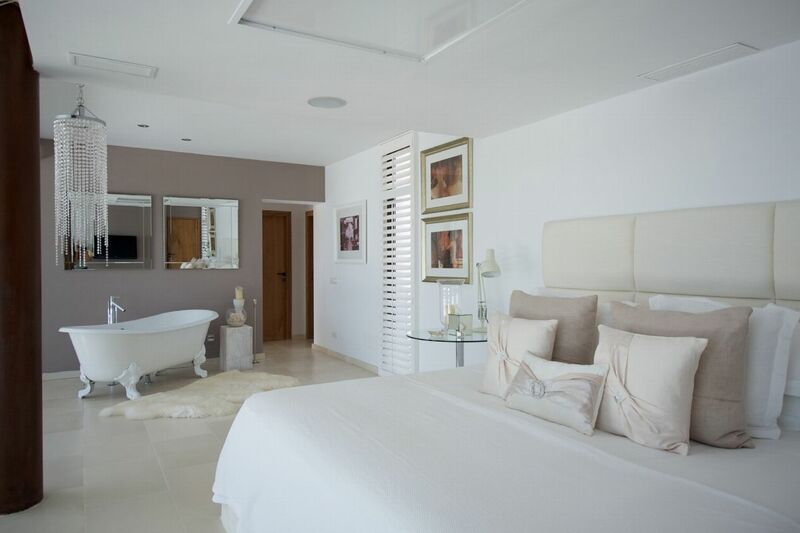 The 'children's bedroom', with 2 single beds sits off the master bedroom, private terrace and countryside views. 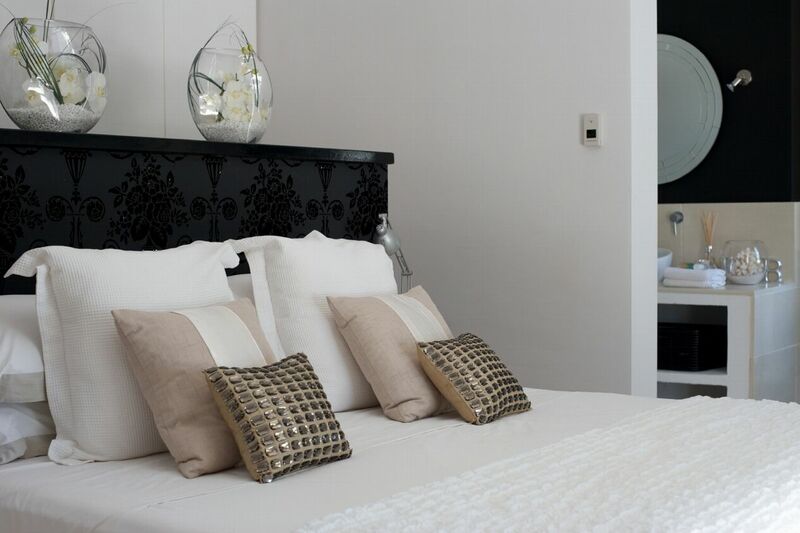 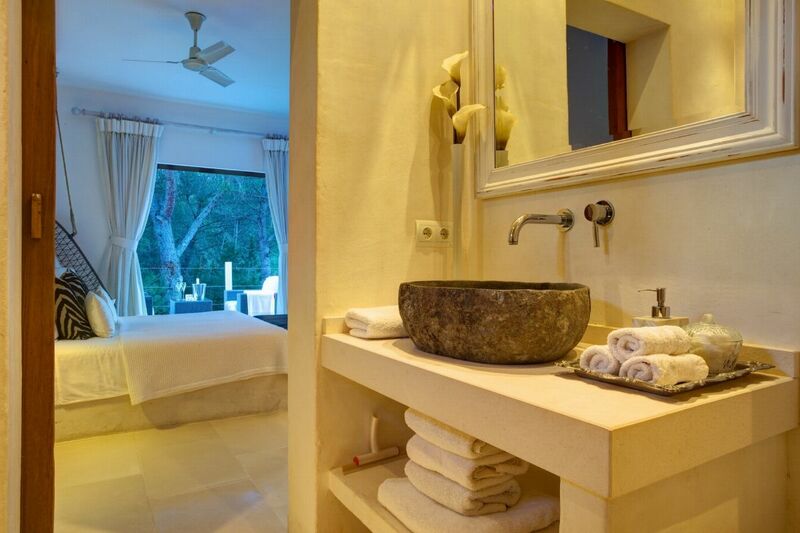 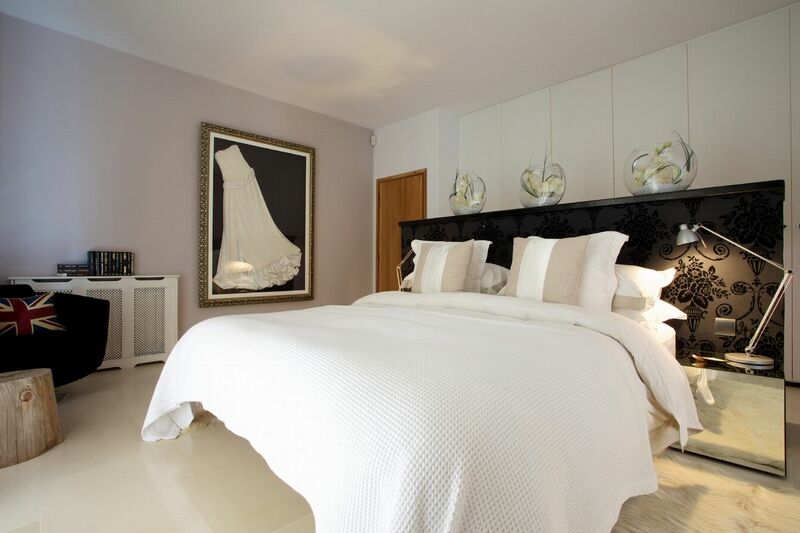 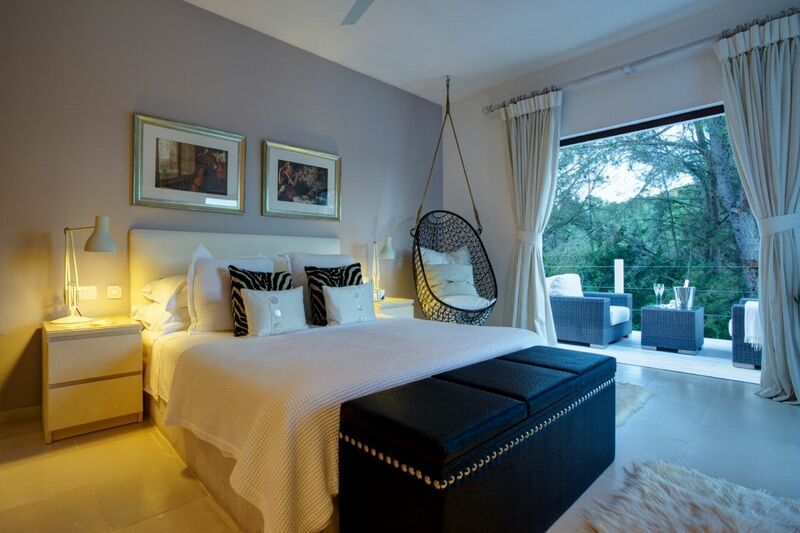 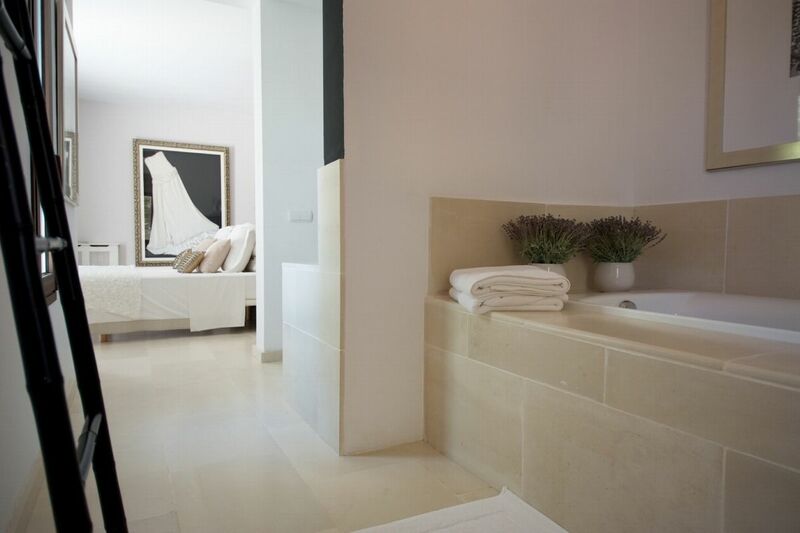 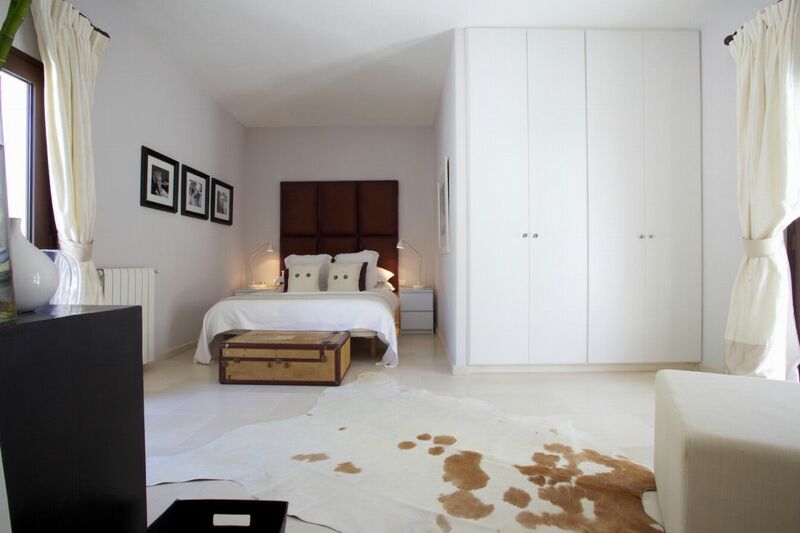 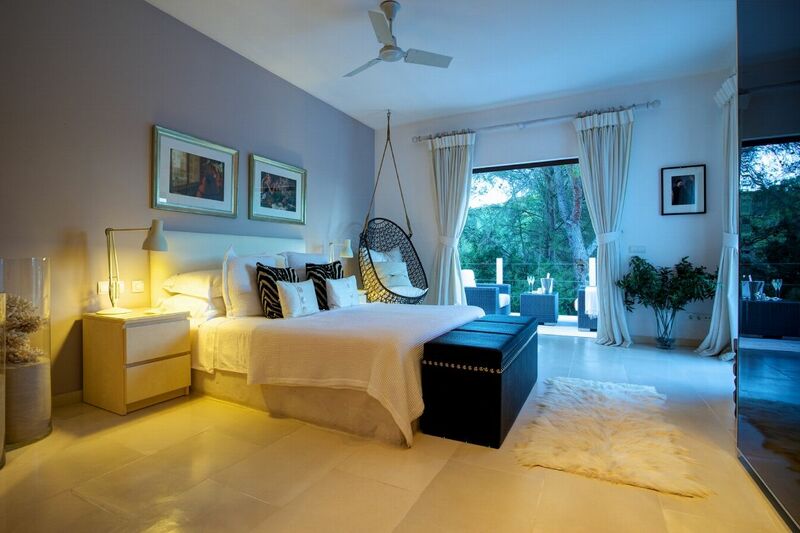 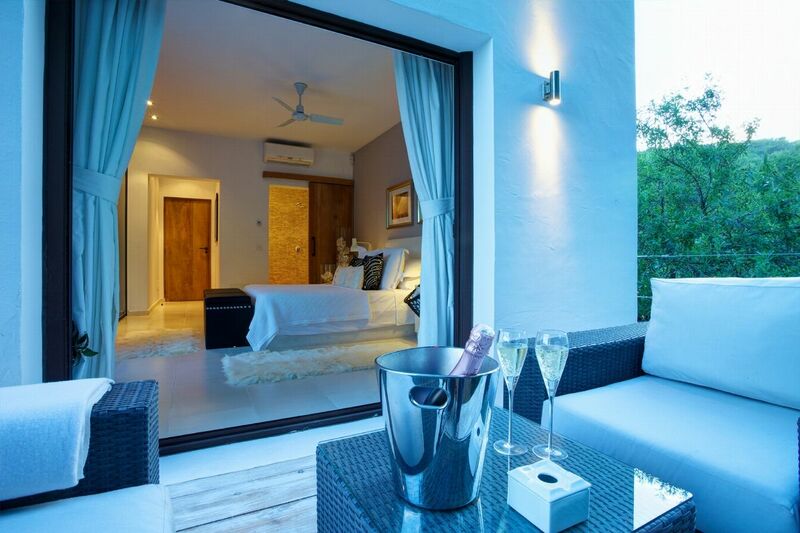 King size bed, large en-suite bathroom, limestone floors and high quality Egyptian cotton towels and terrace. 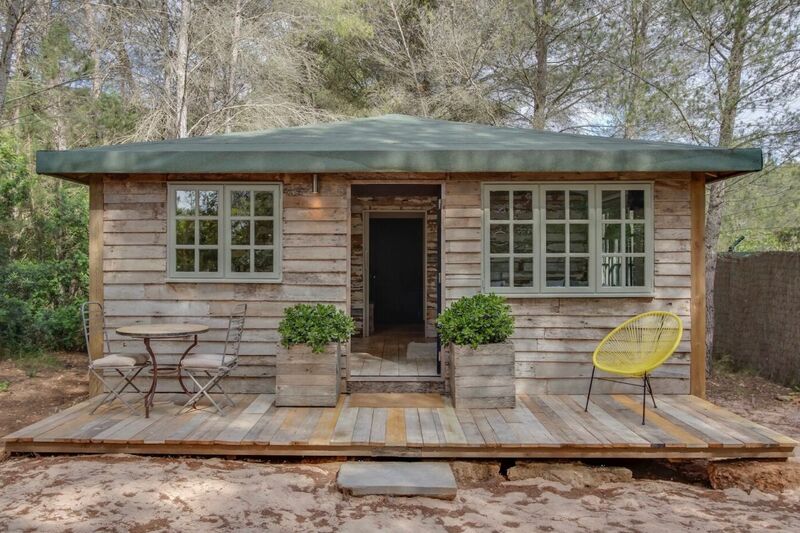 Situated in a separate wooden self contained one bedroom casita within the grounds. 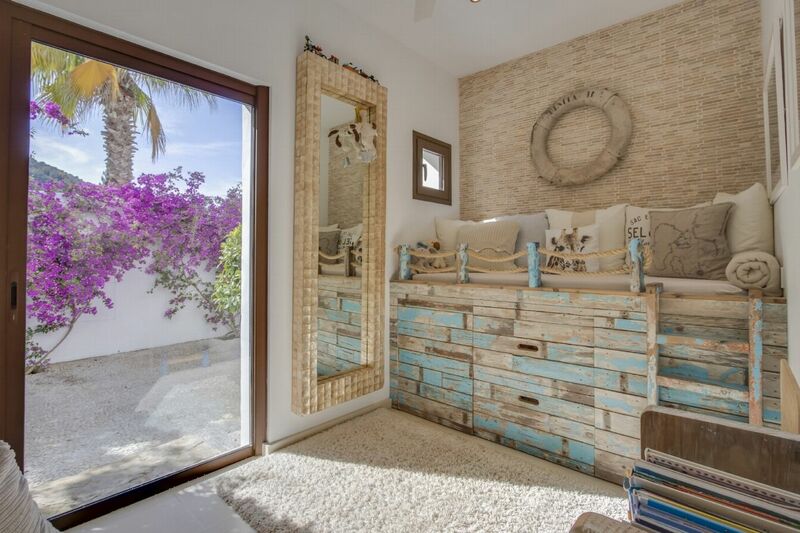 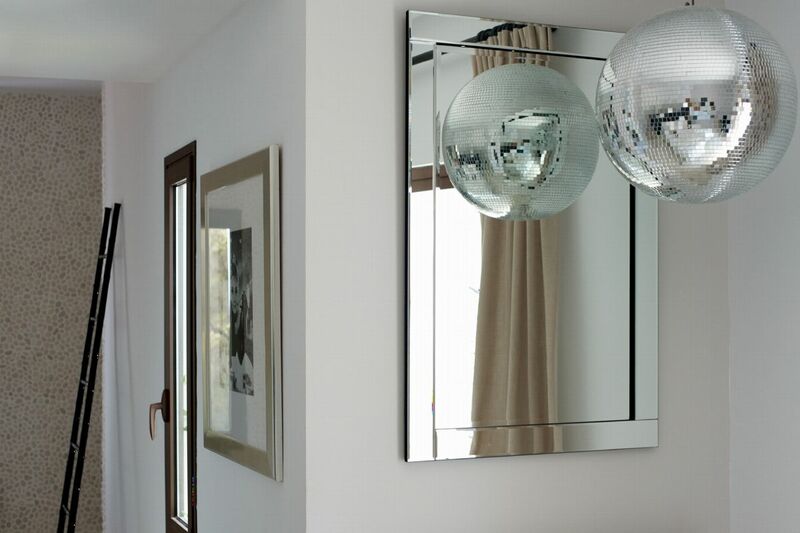 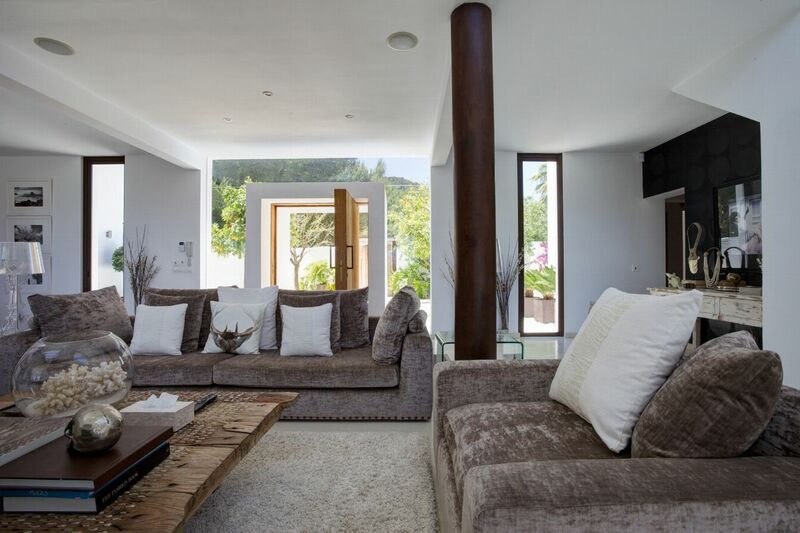 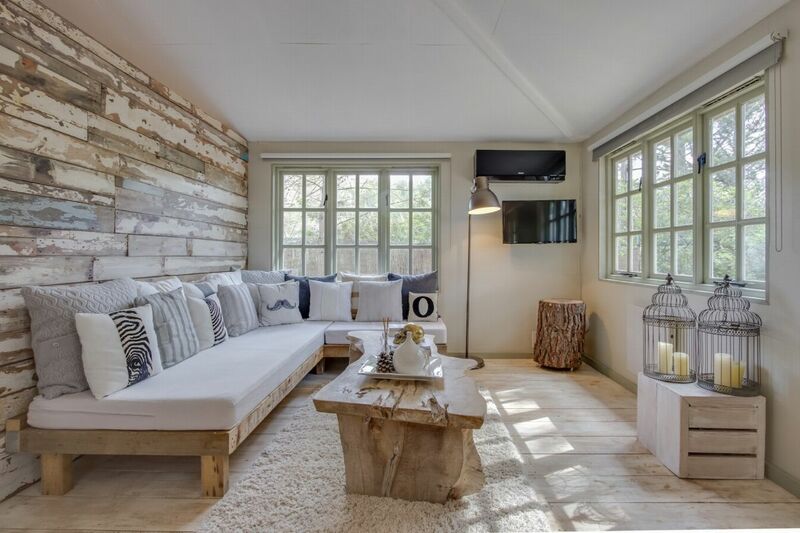 The casita also boasts its own lounge with Sky TV, kitchen and en-suite shower room.